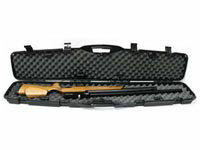 Plano Single Scoped Rifle Case + Installation, 51.5". Hard. 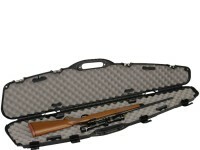 Nothing looks cooler than a scoped rifle in a case! Special Offer! 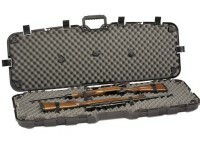 Buy this case along with a scope and mount at the same time that you buy a rifle, and we'll mount the scope. 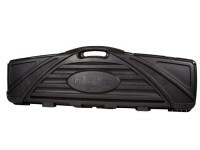 Your rifle will be shipped in this hard plastic case. 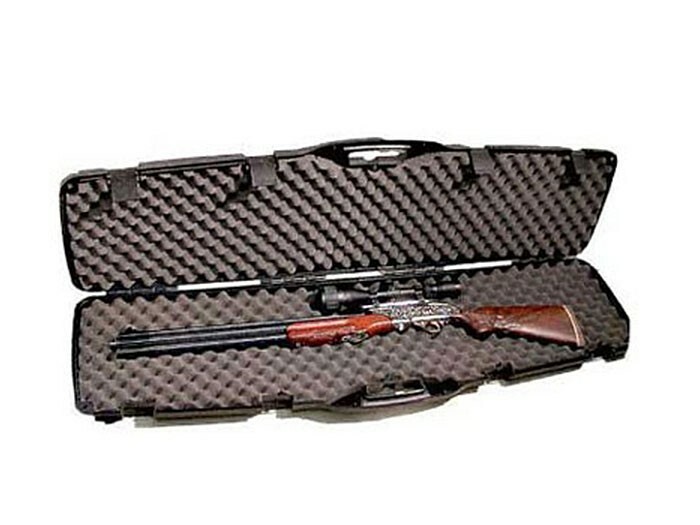 Original packaging (gun, scope and mounts) will not be sent with the gun when this service is performed. Things I liked: Purchased with Discovery combo with 20 shot check out. 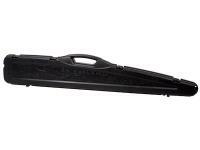 Case is very good and value is excellent. Things I liked: Very good box. Gun and scope arrived intact. Will a Hatsan Nova QE (.25 caliber) fit in this case ? 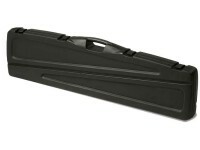 The gun is 49" long and makes it a very close fit to the interior dimensions of this case. Yes it should fit without issue unless your scope is too tall. 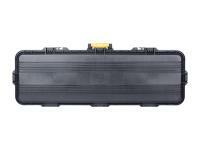 will this fit a raw HM 1000 in 22 cal. with a hawke 6.5 -20/40 AO sidewinder scope mounted on it? It does have holes in the corners, so you could lock it but would need seperate locks. I cant speak to that being tsa compliant and would personally gomwith something more m secure and beefy for airline travel.